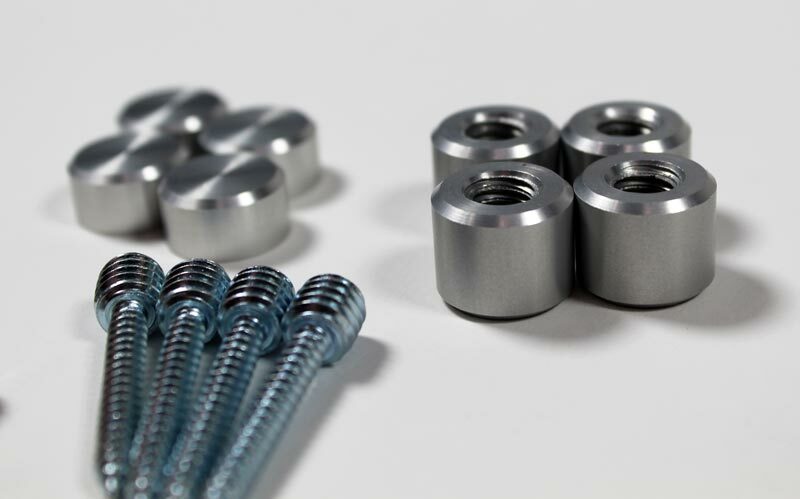 Executive steel stand-offs are the perfect finishing touch to any signage, giving it a hint of depth and style. 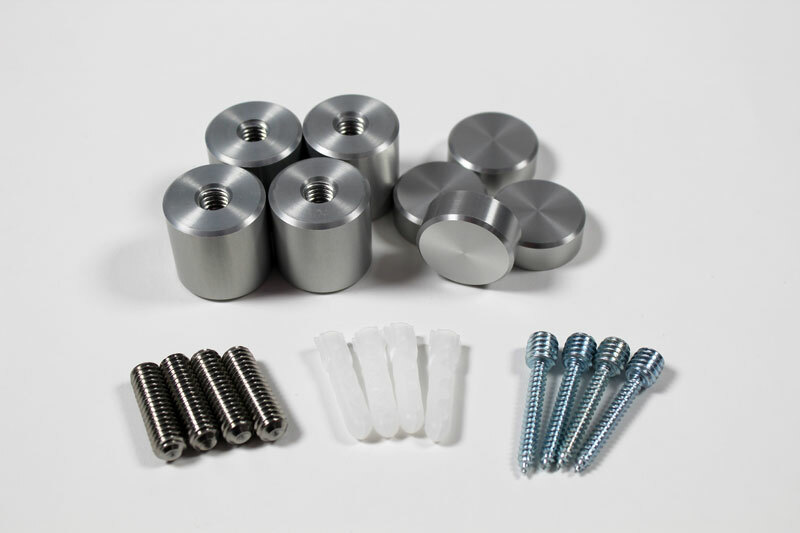 These brushed silver, clear anodized stand-offs are available in 0.625"D x 0.5"L or 1"D x 1"L sizes and are sold in packs of 2 or packs of 4. 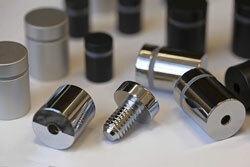 Stainless steel standoffs can be used indoors or for exterior signage. The clear anodized coating makes them outdoor durable. Installation hardware included. 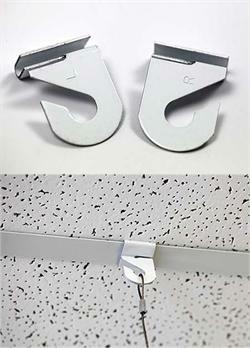 Mounting kit for hanging ceiling signs includes hanging cables and S hooks for attaching to signs. Ceiling hardware not included. Screw caps are the perfect way to hide unsightly screws on any signage project. 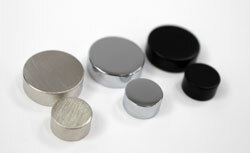 Available in (2) standard sizes and (3) standard color options - polished chrome, satin silver, or matte black. Sold in packs of 2 or 4. 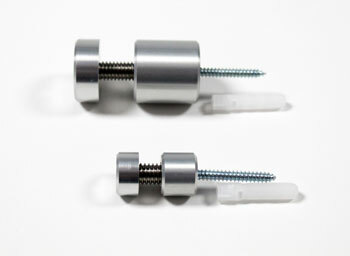 Brushed silver aluminum side clamp standoffs can be used to grip your sign without putting holes in it. Available in 2 sizes. Sold in packs of 2 or 4. Wall mount sign brackets. Stylish stainless steel hanging forks, 1 pair (QTY 2). Hang virtually any substrate or sign panel up to 1/4" thick. 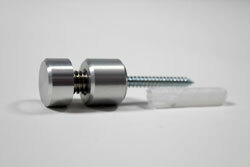 Quality stainless steel hanging forks are 11/16" in diameter and are 2" in length. Cables not included and sold separately. Add depth to your office or room signs with stand-offs. Stand-offs give a professional finished look to any wall mount office or door sign. Available in sets of 4 or 2 and a variety of finishes & sizes to compliment the look of your sign or project. 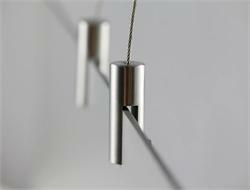 2-piece Left and Right side metal clips combine to form ONE hanging hook for hanging virtually anything from a standard ceiling grid. 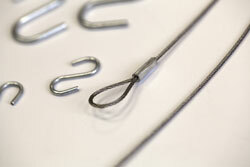 Ideal for checkout signs or anything you need to hang from your office ceiling grid. 2 pieces makes ONE hook.